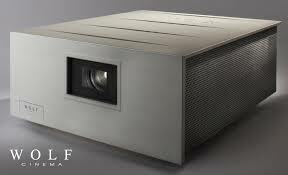 Home Theater -A true cinema experience is set apart by proper design. A combination of the right electronics, acoustics, lighting, control and aesthetics will create a stellar home theater system. Using THX and CEDIA standards, we design for the highest performance experience possible. Our home theater installation expertise will ensure perfect functionality and our simplicity remote controls will make your system easier than ever to use. Call us and tell us your vision. We’ll bring it to life! Multipurpose media rooms are more popular than ever. Our expert home theater installation team can transform your space into a state of the art entertainment area. The beauty of your home is as important to you as it is to us. We preserve your decor using hidden components for your home theater installation. If you prefer, we have wireless home theater systems. Our work is so discreet, if it weren’t for the high powered audio, you’d never know we were there! Game rooms have matured. No longer are they just pinball machines and the lone Pac-Man arcade machine. Today’s game rooms use the latest in Audio/Video and computer gaming for the ultimate in video game experience. You can battle your kids on a custom designed multi-screen, multi-surround sound system. Call your buddies over and play virtual golf on your 110 inch home theater screen! With our customized home theater systems, anything is possible. For a limited time, we are offering customers in Atlanta and the surrounding areas this discounted home theater installation package. You’ll also receive installation, programming, instruction and a lifetime craftsmanship warranty for only $14,995.00. Best of all, this package is customizable. You can expand or upgrade to meet your needs. 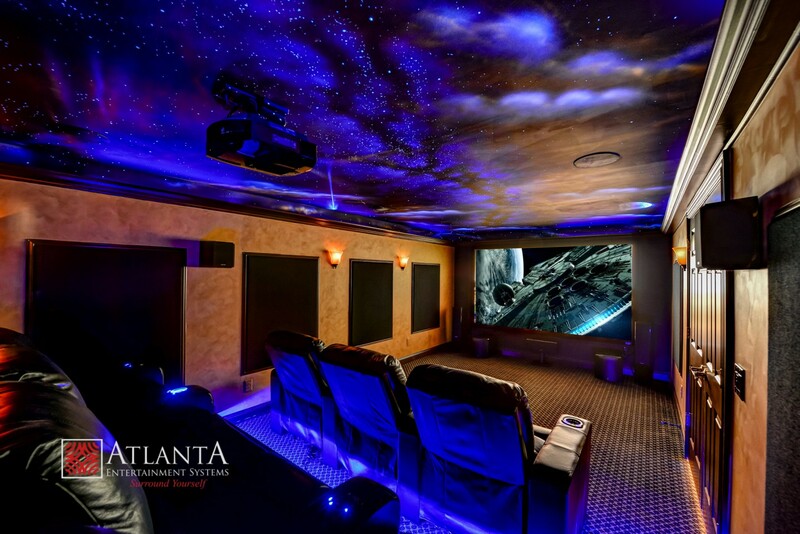 AES provides home theater installation and wireless home theater systems throughout Georgia including the cities of Atlanta, Acworth, Alpharetta, Decatur, Kennesaw and Smyrna, GA.
You have to see this image to believe it. Hands down the best picture available in the $6,000 and up home theater projector price range! This exciting new home cinema combination boasts all the imaging excellence, features and control capabilities you’ve come to expect from Wolf Cinema at an extremely attractive price. The SDC-6 projector head boasts all the features commonly desired by enthusiasts around the world, including full 1080p performance from a next-generation TI DLP® chip set, advanced Wolf Cinema video processing, hand-calibrated color gamut and gamma curves, dynamic black level performance (15,000:1 CR) and much more. The 3500 ANSI lumens performance [2200 ANSI calibrated] brightens up theater screens of all sizes, producing sufficient output for viewing even in high ambient light conditions and on dedicated theater screens up to 14-ft in width. Decide whether you want a dedicated home theater room used almost strictly for watching movies. You might prefer a more casual room also used for other purposes, such as entertaining guests, relaxing or reading. Sometimes, turning a den into a media room with a discreet, yet powerful surround sound gives you the best of both worlds without compromising quality. Do you want to be able to have the lights on while watching movies or TV? 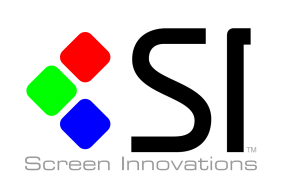 This will help determine what type of video display to install. If you want the lights on during movies, say in more of a multipurpose room, then you will want a brighter projector or screen to compensate for the light. Sound Control inside the Room. Inside the theater or media room you want to minimize the sound from the speakers bouncing off the walls and hard surfaces into your ear. There are seven speakers plus sub-woofers in the room and you want their signal to hit your ear clearly, once each, not multiple times. Otherwise, you’ll experience what’s known as ear fatigue. Sound Control outside the Room. You may not want your home theater sound to leak outside the room. We have several soundproofing options to keep your incredible investment into sound and theater from disturbing others in the home. Have a budget in mind. A quality home theater installation can cost several thousand to several hundred thousand dollars. Before you have your home theater consultant design your entertainment system, try to have a clear budget in mind. Remember to invest part of that budget into a good remote control to make it easy to use. Also, add lighting and sound control to your budget. Be careful where you buy your home theater system and who installs it. Many online stores claim to be authorized resellers. Purchasing equipment from a non-authorized reseller leaves your equipment unwarrantied. 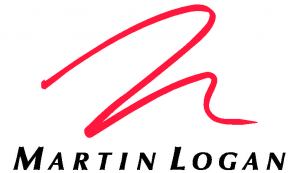 We are authorized resellers of some of the best brands in the industry and we guarantee that your warranty will be honored! Hire a custom home theater installation professional. There are a lot of challenges to a smooth home theater, media room or audio installation. 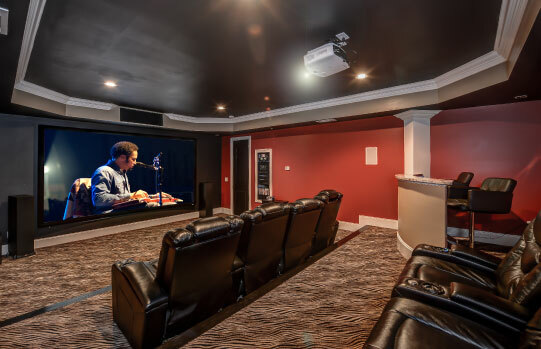 Hiring a custom installer ensures all the technical, construction and aesthetic aspects of the home theater come together to make this an investment that will keep your family happy for years to come. Our project managers have 15-30 years of experience and will make sure that your home theater project looks and sounds crystal clear, is easy to use and blends into your environment. We use our construction expertise to protect your home and avoid causing any damage during the home theater installation process. Make it Easy, Easy, Easy to use! If your wife or children cannot turn on cartoons or start a movie then something went wrong in your plan. The most important service that we can provide you is to make sure that your entertainment system or home theater is easy to use. We professionally program our “marriage saver” remotes to keep the peace and keep it simple!